On 11th of March 2011, the day of the earthquake and tsunami in Japan I conducted the Arbatel ritual of the Olympic Spirit of Hagith (Venus). This is the third rite in a series of seven; the sequence of the rites is aligned to the hermetic planetary succession according to the Tree of Life. Therefore the rite for Hagith equates to the Sephira Netzach and is the second rite above the gate of the Moon (Phul). During my first ritual for the Olympic Spirit of Phul (Moon) I had learned that the moon functions as a gate or burning lens in order to filter, adjust and combine the influences and forces of the planets above it. Thus the six consecutive Arbatel rituals all take the magician outside and above the sphere of this gate and open a realm where the forces of the planets beyond the moon can be experienced directly. In case you want to read more on the approach and execution of the rites, please refer to the previous two ritual accounts where I covered a lot of background information which won’t be repeat here. The time and day of the rite of Hagith was during the hour of Venus (8:15pm) on Friday, 11th of March. During previous rites I had discovered differences in the perceived energy patterns of the planetary forces during their day and night hours. While the cause of this simply might be my different state of mind in the morning versus the evening here is what the actual difference was: rites in the morning produced an energy and spirit connection that was more subtle and fleeting. Whereas rites during the night hours (i.e. after sunset) revealed results that were more charged and forceful in experience. Irrespective of where this difference stemmed from it was too obvious to be ignored. Even more so as my good friend - with whom I conduct these rites in parallel - had discovered the same difference without me sharing my observations to him. This is why I chose the evening hour for the rite of Hagith. The key to any successful ritual is to be able to alter your state of consciousness in order to break through or avoid perceptive filters which normally inhibit direct experience of and communion with spirits. Therefore the term purification in this case refers to a period in advance of a rite that supports the breaking down of these filters or attachments to everyday life. Similar to most elements in the tradition of the Magickal Grimoires, the actual means to purify our state of mind and living are heavily influenced by a Jewish-Christian worldview. The standard procedures involve multiple weeks of fasting, cleansing, prayers and isolation. Also, I feel it’s important to point out that the actual change brought forth by purifications happens in our hearts more than anywhere else. Whatever means we chose to purify our lifestyles, the real aim of the game is to change the state of our heart: Imagine we all had a compass in our hearts and the compass needle would normally be guided by our everyday affections, desires and fears. Then the purification rites are what replaces the magnetic field of our personal desires with a field of devotion to God or the spirits we summon. The foremost goal of purification rites is to change the intention of our hearts. While I was tempted to change elements of the liturgic approach, I decided to keep it the same as for the first two rituals. Initially I had the idea of incorporating elements of the specific Psalms associated with Venus into the liturgy and Lamen. However, as this would have been the first time I had used such an approach, the Arbatel doesn’t suggest it directly and it would have decreased the consistency with the previous two Arbatel rituals I decided to pass on it for now. As we will see later in the conclusions from this rite I might still use this approach for the forthcoming rite of the Olympic Spirit of Och (Sun). As mentioned above I followed the same approach as previously for the construction of the Lamen. While the general structure was in place already, on the day of the rite I finished the version for Hagith, printed it and used carbon paper to copy it on virgin paper. Then I painted front and back sides by hand and consecrated it with essential oil of Venus in advance of the rite. 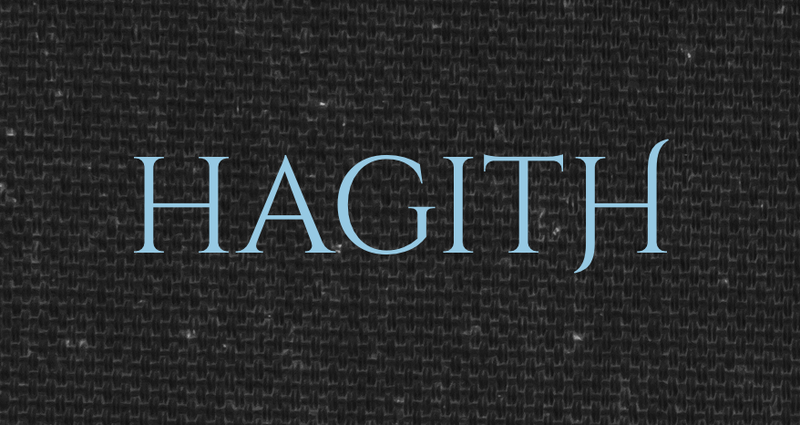 For the reverse side I used the alphabetical kamea of the hebrew name Hagith. On this occasion I let me recommend again the encyclopedia on magickal kamea Nineveh Shadrach has put together in his wonderful book on the topic. While creating the Lamen I listened to Gustav Holst’s and Niccollo Paganini’s ‘Venus - The Bringer of Peace’ in a loop. This time the process seemed to be much swifter than for the rite of Ophiel; the Lamen and liturgic book were finished after four hours approximately. I spent the afternoon preparing a large beetroot lasagna for my wife and me. After I returned from walking the dog she told me to get started as she couldn’t stand my concentration and nervousness any longer. It was about two hours before the rite and so that’s what I did. For the first time in my ritual experience I took a ritual bath instead of a shower. Baths and me don’t get along very well as they tend to slow down my pulse that I almost faint getting out of the water. In this case, however, I hoped the hot water would take the nervousness off me that had crept into me over recent hours. I felt uneasy about the ritual for unknown reasons, as if I hadn’t prepared or purified my body sufficiently. I anointed the water with drops of Venus essential oil and visualized how it cleaned my body, soaked my skin and washed any impurity out of me. Afterwards no fainting luckily but getting dressed in clean clothes, taking the Lamen and liturgic book and entering the temple. The air in the temple still was damp and cold. I lid a fire in the wood-burning stove and waited for its heat to fill the large room. Yet, the logs were too large or damp themselves and the flames didn’t eat into the wood. After an unsuccessful second try I settled on performing the rite in a cold temple and took my asana position in front of the black curtain of the inner temple. I meditated my standard opening: long breaths of Pranayama followed by a journey to a wooden platform high above the forests where I swept the floor and met my holy guardian angel. As the last step before the rite I brought to life the Lamen of Hagith by anointing it with the essential oil of Venus on both sides and all four quadrants. Then I put on my robe and paraphernalia and entered the inner temple. On lighting the candles below the elemental banners and on the temple I realized a significant mistake I had done in preparing the altar. The two candles for the rite weren’t green as it applies to the Sephira of Netzach, but for some reason I had chosen red candles instead. Maybe the connection Venus-Hagith-love had blocked my mind? I was confused as I knew this would create an overlap with the red candles for the rite of Mars at a later point. However, it turned out I was completely out of green candles and thus continued the rite with red candles for Hagith... Well, I guess this is similar to being invited to a friend’s house. And instead of bringing the flowers you had prepared you handover a wrench or a kitchen towel. Wrenches and kitchen towels are extremely useful tools to have for anyone, they just don’t have anything to do with your intention for visiting your friends. So there I was - going on a date with beloved Hagith, a red kitchen towel on the altar. I don’t think it mattered to her at all, but equally it wasn’t something that expressed my intention and openness to engage with her spirit in direct communion. If anything the only risk was that the irritation of the event and the inconsistency of the altar set up would disturb my concentration and subjective synthesis. So I turned my mind back on the rite and held my gaze fixed on my fingers as always when circumscribing the magick circle. After a while I realized that I was standing on a mountainside. It was night and dark all around me, yet the stars were shining bright and painting the scenery in an unreal silvery light. I was standing in a magick circle just as I did in my temple and nature around me had started to move. The wind was blowing over mountain meadows and moved the long grass and the water in the river bed was whispering... everything seemed excited and in rippling silence and awe and great expectation about what was to happen... 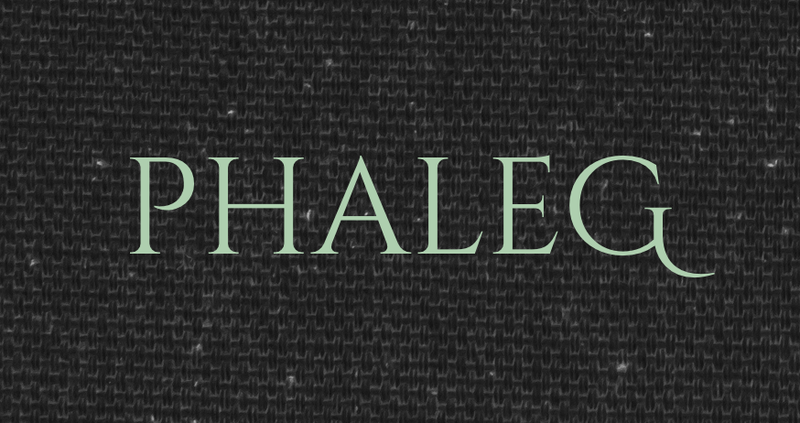 In the rite of Phul I had seen the surface of the moon hanging directly above me and in the rite of Ophiel his geometrical shape had pierced through the top of my temple directly after the evocation. This time things were different and much more figurative and concrete. Hagith: I am a star. A: What is your secret name? A: What is your sigil? A: How does your influence reach Earth? H: My web is everywhere, I am without end and beginning, I am endless in my extension. It is the Moon that mirrors and focusses my influence. A: What is your relationship to Love? H: Love is a light that opens. I am the seed that is put inside. A: What is the counterforce to Love? H: Everything that closes and seals. A: Which substances are correspond to you in Alchemy? A: How is your relationship to the forces of Netzach? H: What is the relationship of a tree to nature? We are all one. A: What is your relationship to my Holy Guardian Angel? H: He is the Light that opens you, he is your Life. A: Which forces govern your influence? A: How does initiation into your current take place? A: Which sacrifice can make to you? Then I am sinking downwards and the vision fades. Only now do I realize that my knees have been trembling throughout the communion and my mind is completely exhausted. It seems elevating myself close enough to be able to communicate with her drew upon all available resources in my body and mind and left me richly rewarded yet also equally worn out. I perform the gesture of the closing of the veil, take up the dagger and finish with a lesser banishing ritual of the pentagram. I speak the license to depart and conclude with a quabalistic cross. I blow out the candles in the temple, step through the black curtain into the outer temple and undress from paraphernalia and robe. Then I clean the inner temple, stash all things at their proper place and lock the temple behind me. Outside the night is clear and cold and I can see all the stars above me. The first thing Samuel Sagan points out as the equivalent of Venus in the human body is the concept of quintessence. Anything that is refined, sophisticated and concentrated in its essence is equivalent to the forces of Venus whose nature represent the idea of preciousness, subtlety and refinement. He goes on to explain the Ayurvedic concept of dhatus, the seven primitive matters which constitute human bodies and whose finest or most quintessential form is sexual energy. A possible translation of dhatu is ‘body tissues’. The term implies the idea of a web or a fabric of fibers (even more so in the German translation Körpergewebe) which is exactly what Hagith referred to when I asked her for her function in the human body: the fabric of life. This point seems to be a wonderful match between what I learned in Hagith’s communion and Sagan’s explanation of the forces of Venus in the human body. On the other hand, Sagan continues to explain the importance of the kidneys in relation to Venus; an important aspect that I didn’t capture in our conversation. Another important point to highlight in my eyes is what Hagith (Irasil) mentioned about the point and effect of love. She explicitly mentioned that her nature is not identical with love but with the essence of life. Love, however, is her tool and her way to open and prepare things for the reception of life. Thus the superficial identification of Venus with love misses an essential point; her influence is much deeper than simply creating attraction between two things. Her influence is the essence of giving birth, of patience for the right moment to arrive, of caring for what seeds are sowed, of protecting what is about to emerge, of bringing life to life. During the days and weeks after the ritual this important aspect of Irasil’s influence continued to dawn on me and started to change my understanding of and view on basically all things alive around me... I tried to capture this process in this post on the Female Divine. Personally, this deeper understanding of how love and the seeds of life interact in order to bring forth fertility is one of the most important things I realized since starting to practice magick more than a decade ago: The sudden insight that life cannot be sowed into what love hasn’t opened before. It is my opinion today that Irasil was concentrating her energies that night on many places where it was needed, trying to condense her fabric and weaving where other forces tried to loosen or cut through it. Certainly Japan wasn’t the only place that night deserving Irasil’s attention; yet maybe it was important enough to absorb much of her energy that the mirror of the moon allowed to flow into the sublunar realm of our world. Be that as it may, when I read about the horrible news on Japan on the next morning I immediately connected Irasil’s demand to bring her forces under the skin of earth with the tragic events in Japan. At the same time I realized that she hadn’t asked me to get involved in what was going on anywhere else than where I was right now at this moment. My job in completing her sacrifice was not to try to change things in Japan or anywhere else on the planet - except for where I was standing right now. It was my direct environment, the place of my home which I could influence and open to the forces of Hagith only. As I was singing the psalm I realized what happened above me: Just like during the rite the night before the star of Venus started to glow above me. Then it opened a channel between itself and the body of my angel stretched out on the ground. The channel had the same DNA-like shape like the night before, energy rushing and spiraling down from the bright day-sky. Suddenly I realized that the body of my angel described the circumference of the area in which the forces of Hagith could submerge into earth completely effortless. Everything around me started to vibrate in light while my angel continued to expand the surface of its body on the ground. It grew larger and larger, expanded beyond my temple, our house, our village, then over fields and streets and meadows, it stretched out over the cities surrounding me, until it reached the feet of the mountains about 60miles in the south from where I live. Like a single ray of light 120miles wide, like a bright river of life did Hagith’s forces rush down on earth and disappear in the fertile grounds below the body of my angel. My untrained mind could not endure this experience for anything more than five to ten minutes. It was short, but I think my angel liked it. I know I certainly loved it. I hope that Hagith’s forces might as well. Let’s close this ritual account on the gematria of the secret name IRASIL. I am calling it a secret name even though I am sharing it here publicly. It will always remain secret like a place that has been discovered but can only be accessed by few. This place can only be accessed by me; everyone of us will receive their own names of the Olympic Spirits. It is the basis to form an individual relationship, the interface between our two fields of energy and life. Here is what I am making of this: Hagith’s forces are the essence of live, thus they are subtle and fleeting like fire and require substance to take shape and be nurtured. This substance is earth, the foundation of matter. What emerges from this quintessential union of substance and the fires of life is not life as we know it in Malkuth, but it is the quintessential idea of manifested life as it is contained in Kether. Thus the term ’rock’ represents the eternal, unchangeable inner man or original form of human life that is begotten and not made by man. This quabalistic rock is the seed, the gift of Hagith within us that empowers us to transmit and reproduce life. Elohim finally is the divine name of Netzach in Briah. It is also the order of angels of Netzach in Assiah.